Our Worcester boiler stopped working over night - it had been sounding dodgey for over a year and it finally gave up! 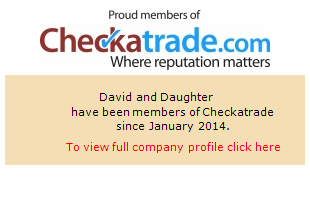 A friend recommended David and Daughter as being particularly knowledgeable so we called them at approximately 10 am. David and his daughter Hannah managed to get out to us the same day. I was really pleased with their level of expertise, they clearly knew their stuff and they put the effort in to ensure that the repair was completed that day - including sourcing the replacement part. Really am very pleased with all aspects, including price. I can't recommend them enough.